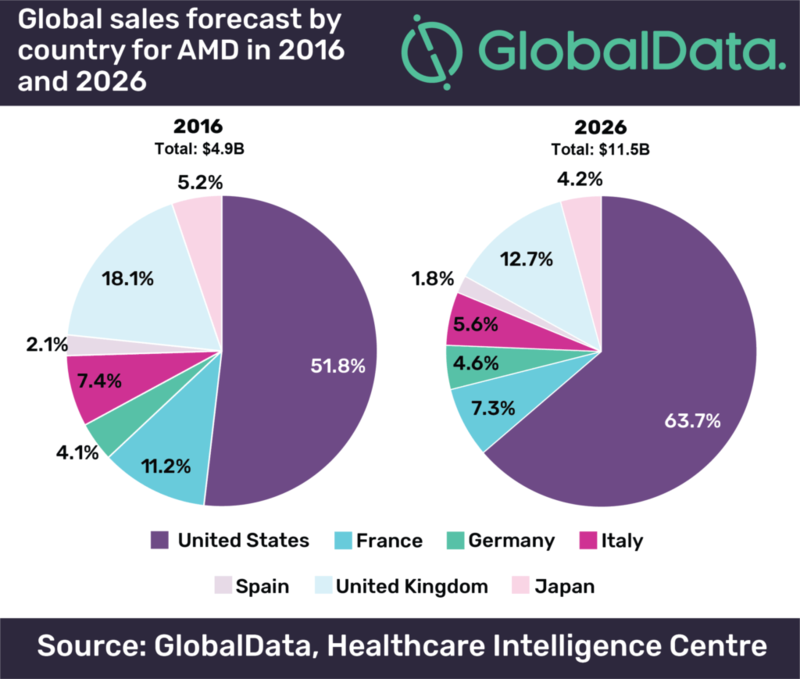 Pharmaceutical sales within the age-related macular degeneration (AMD) markets were estimated to be $4.9bn across the seven major markets (7MM*) in 2016. This is expected to reach $11.5bn in 2026, at an impressive Compound Annual Growth Rate (CAGR) of 8.9%, according to GlobalData, a leading data and analytics company. The company’s report: ‘PharmaPoint: Age-Related Macular Degeneration’ states that this growth will be driven by new therapies entering the market and a global aging society, which will lead to increasing numbers of elderly people developing AMD. GlobalData predicts the launches of three drugs for the treatment of geographic atrophy (GA), the late stage of dry age-related macular degeneration (dAMD), and three late-stage pipeline drugs for wet AMD (wAMD). In particular, the launch of drugs into the AMD market to treat dAMD will be a large driver of growth, as there are currently no prescription medications available for these patients. Key opinion leaders interviewed by GlobalData emphasized that pricing will also play a key role in the uptake of brolucizumab. 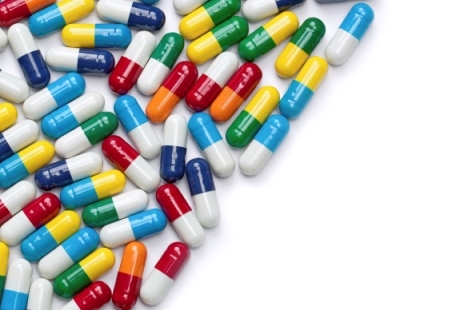 Novartis’ brolucizumab is expected to reach blockbuster status by 2021, and will be the highest selling drug by 2026 among all drugs launching to the AMD market, with $4.1bn in global sales. New drugs entering the dAMD market will include two anti-complement agents: Apellis’ APL-2 and Ophthotech’s Zimura, and one neuroprotective agent, Allergan’s Brimo DDS, which together will drive an increase of the treated AMD cases, expanding the AMD market. * 7MM: US, France, Germany, Italy, Spain, UK and Japan.